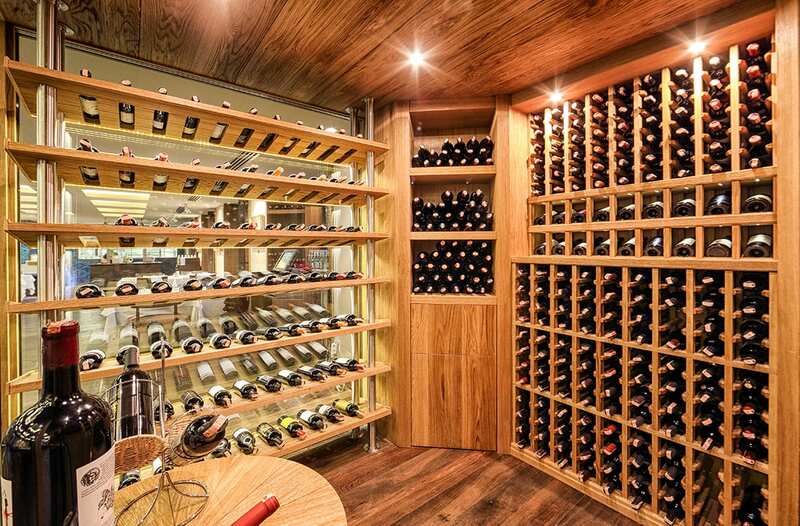 Many would agree that a feature cellar in a restaurant cannot be more sober than this. Armaggan Hotel’s cellar is an ode to purity with its unworked wooden surfaces on all interior planes and extra transparent large glass window panes. One can almost feel the wood without even going inside. 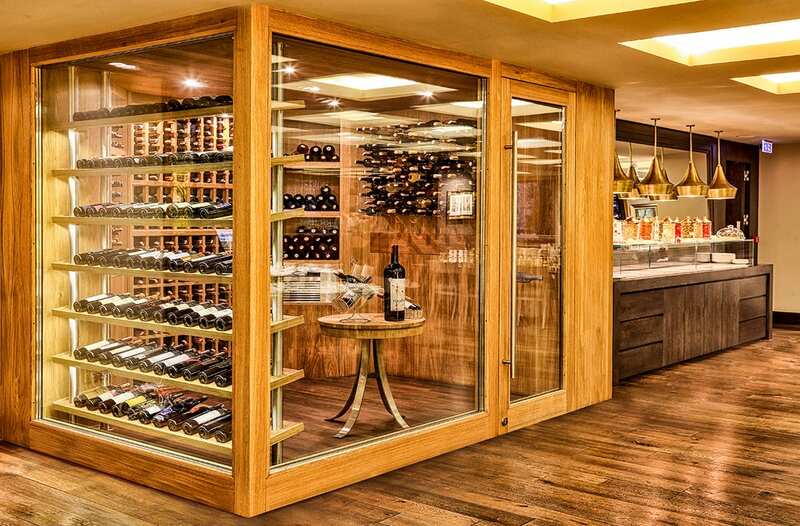 The custom-designed angled wine display unit with concealed label lighting allows customers to see and read all labels available in the cellar.